Bihar is one of the fastest growing states in India. The population of the state is increasing too. Along with it is increasing the infrastructure and administrative services of the state. For instance, you can take the example of the marriage certificate. It is one of the most important documents which provides social security. Not only that, if you are traveling abroad with your partner, this is a legal document which will help you to apply. There is no online process of application for a marriage certificate in Patna, Gaya, Bhagalpur, Muzaffarpur, Bihar so the complete process is offline. For your help, we are describing the whole process here in details. A document for address proof like voter id card, pan card, aadhaar card, ration card, passport, etc. Birth Certificate or School leaving certificate to check the date of birth. Pan card with date of birth or affidavit from tehsil is also applicable. Marriage invitation card or any other document proving the marriage is needed. A total of 6 passport size photographs are needed of bride and bridegroom along with 3 joint photographs. You can also attach the photos of the marriage ceremony to get the certificate easily. First of all, the application form is needed for marriage registration. 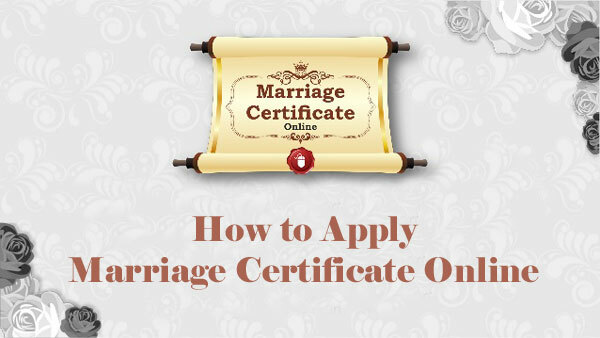 To get the form and detailed instructions, you can follow the link https://marriageind.in/wp-content/uploads/2017/01/Patna-Marriage-Certificate-Registration-form.pdf. In the form, you have to mention the name and complete address of the bride and bridegroom. Both of them have to sign the form and finally, the signature of three witnesses are needed with their names and complete addresses. The joint photo of the bride and the bridegroom must be presented before the marriage registrar with full signature. The officer will verify all the application details and documents which you had presented with records. If all is correct and he feels satisfied, he will issue the marriage certificate. The application fee is Bihar is quite low. It is INR 30 only. The age of bride must be 18 and bridegroom must be 21or above. You need to apply to the nearest marriage registrar office along with the physical and mental health certificate. The applicants must be the resident of Bihar. After the wedding, they need to be living together to apply for the certificate.